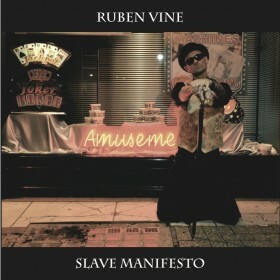 This Limited Edition Box Set was put together by A.O.F on behalf of Ruben Vine. The metal box that contains all of the items has stickers on the front and back containing artwork and release information. 22 were created of which only 10 are available for public sale, with the remainder will be used for promotion. RV Promo Box with 11 Track Album and Photo and Lyric Book, 2 x EPs, 2 x A.O.F Catalogues, the debut CD album, DVD and ‘Exit Your Life’ Sticker. 10 Copies Only for Public Sale. Hand Numbered 2-11.